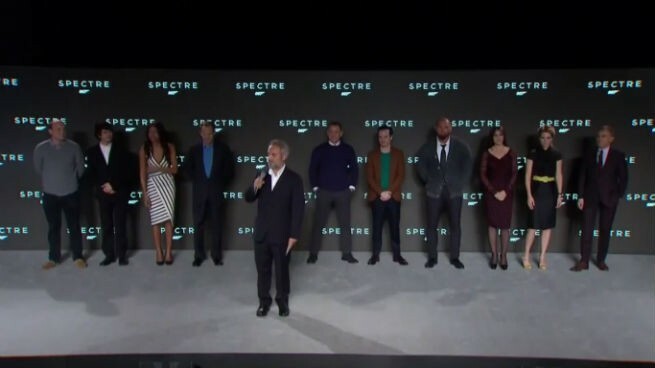 In case you missed the Bond 24 Live Announcement event, here it is… The name of 2015’s James Bond film is called “SPECTRE“. Those who follow the James Bond franchise will know what that means – it stands for Special Executive for Counter-intelligence, Terrorism, Revenge, and Extortion, aka the same organization that antagonized 007 in the Ian Fleming novels of old and the past films of the epic British Secret Agent franchise! Reprising his role as Bond of course will be Daniel Craig, with his reuniting with Skyfall co-stars Naomie Harris, Ralph Fiennes as M, and Ben Whishaw as Q. Christoph Waltz, Monica Belluci, and Dave Bautista join in the cast, with Sam Mendes returning to direct and a release date for the film on November next year! SPECTRE will be released on November 6, 2015. Next articleMarvel officially confirms Benedict Cumberbatch as Doctor Strange!